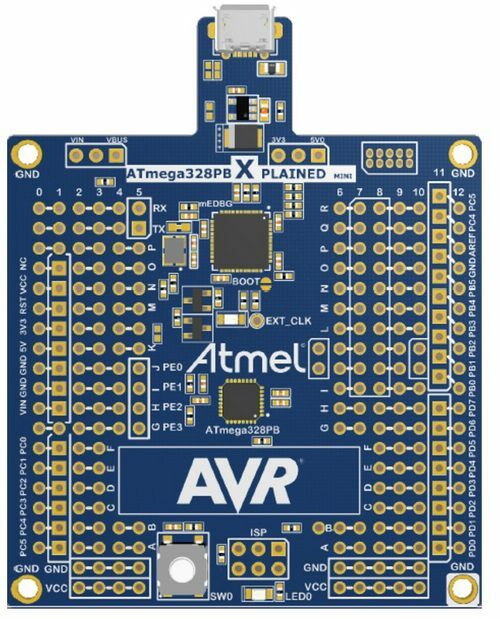 The Atmel ATmega328PB Xplained Mini evalutation kit is a hardware platform for evaluating the Atmel ATmega328PB microcontroller (MCU). The evaluation kit comes with a fully integrated debugger that provides seamless integration with Atmel Studio 6.2 or later. The kit provides access to the features of the ATmega328PB MCU enabling easy integration of the device into a custom design. It features four capacitive buttons for easy evaluation of the integrated Atmel QTouch Peripheral Touch Controller (PTC).